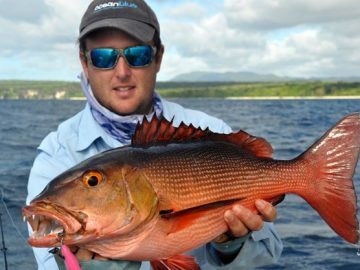 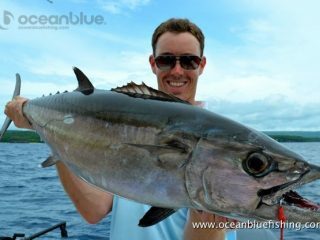 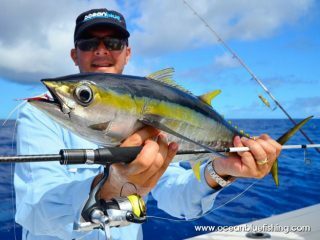 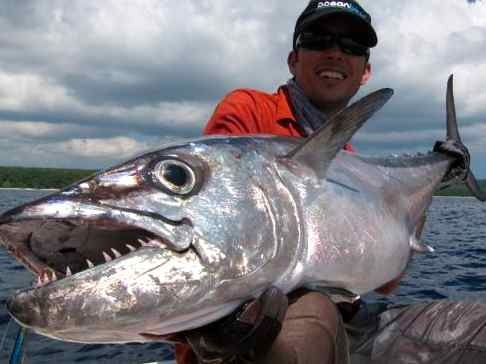 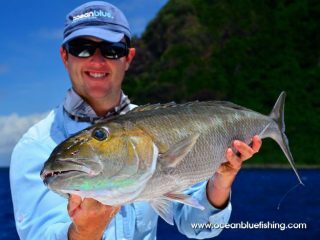 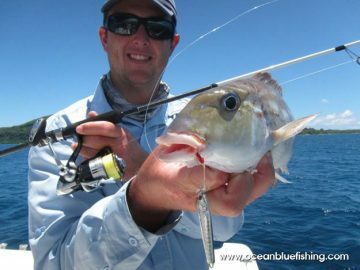 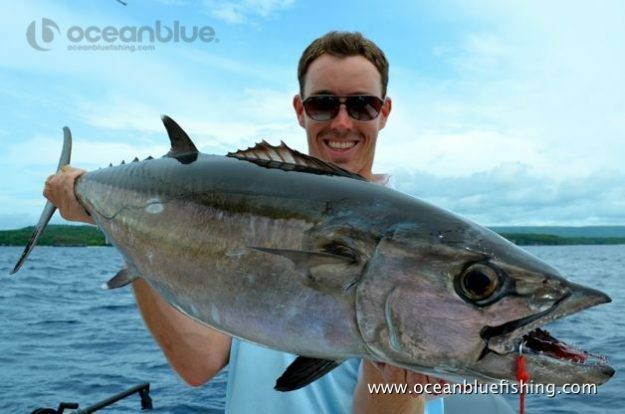 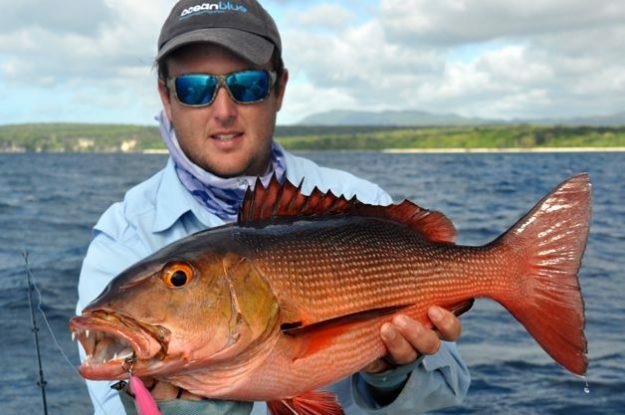 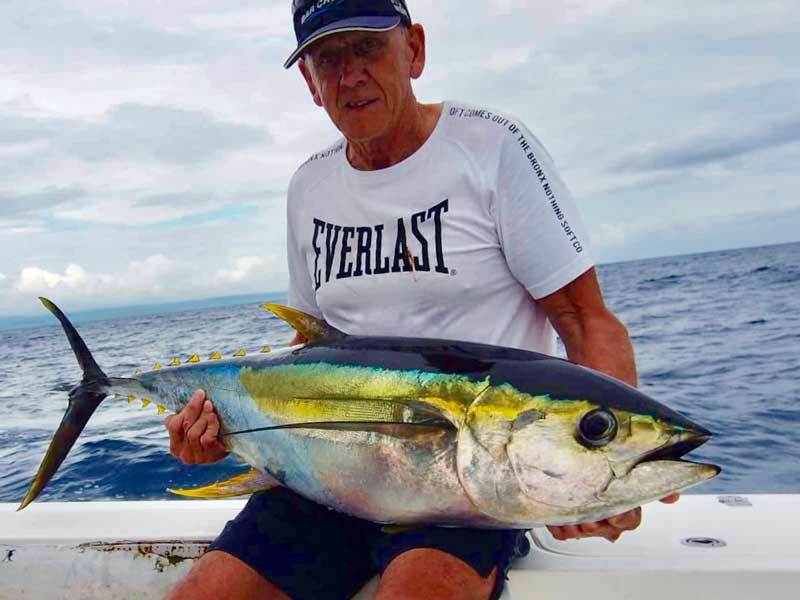 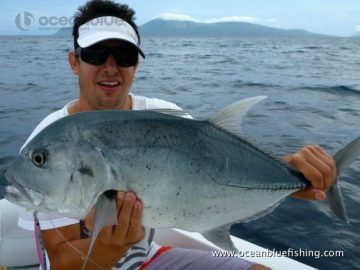 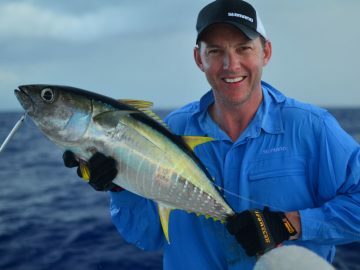 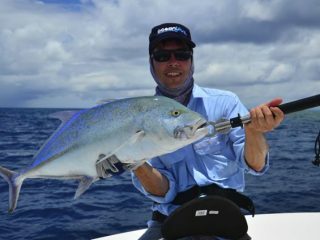 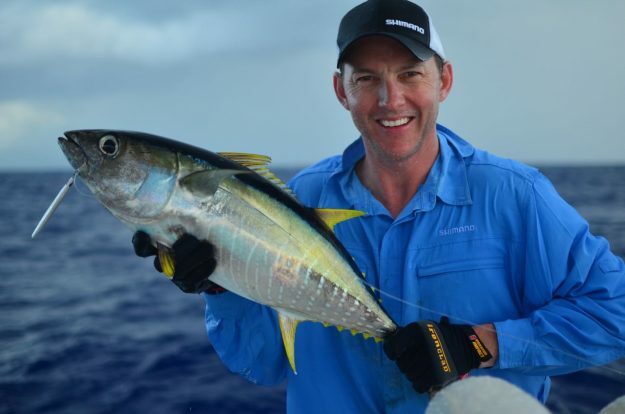 Micro jigging is simply using lighter jigs in the 20g -100g range and happens to be one of our favourite techniques here in Vanuatu, both for targeting a wide variety of species as well as having loads of fun. 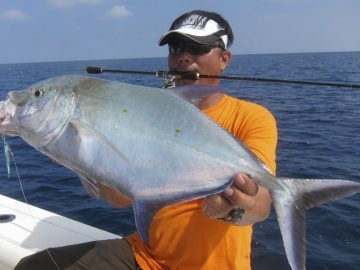 The method is pretty self descriptive, consisting of dropping and raising the rod tip quickly as the line is being retrieved in order to impart a lively & erratic action into the shiny metal jig as it’s yo-yo’d vertically through the water column. 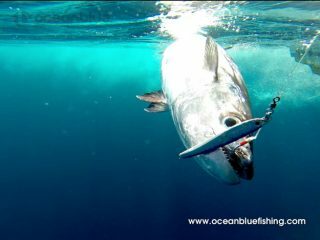 The style works equally well for schooling pelagic species offshore such as yellowfin tuna, wahoo & mahi mahi, so multiple hookups and hot sessions are common. 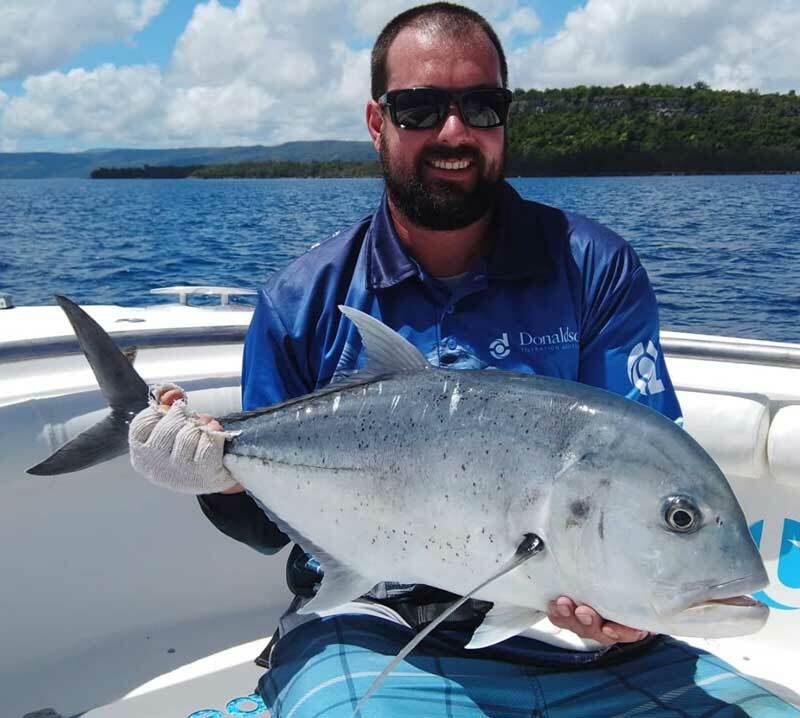 Vanuatu is volcanic, meaning we have steep islands surrounded by deep water and the underwater terrain is full of seamounts, underwater bommies, shallow & deep reefs aswell as plunging bluewater. A good sounder is essential, and having all our boats equipped with Simrad sounders to mark fish, sharp drop offs & seamounts accurately means we’re in the zone all the time. 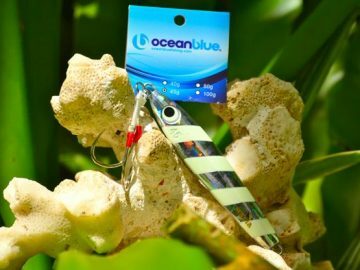 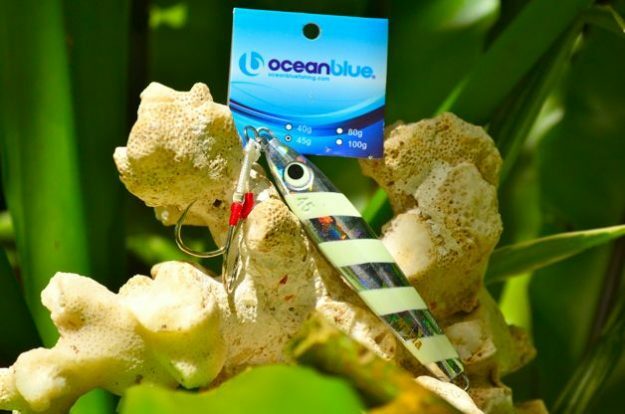 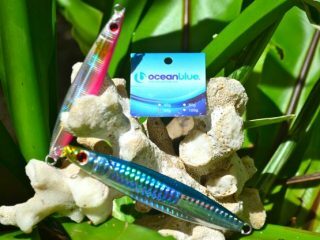 We also carry our own Ocean Blue micro jig range, these are designed to have the centre of gravity either at the top, bottom or in the middle of the jig, and determines how the jig will glide and swim at time of retrieval. On the sink, jigs tend to glide off or get a wide circular spiral happening, which helps dictate where and when these different styles should be used. Swapping down to light jigging gear not only means faster retrievals & more hook ups on a wide variety of species, it’s also less rigorous than heavy jigging or popper casting. 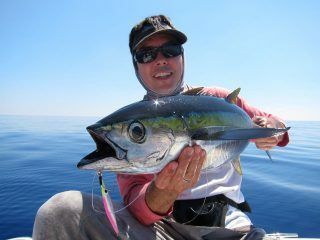 Andrea Traverso and his team use PE 2 to 3 (20 to 30 pound) outfits with Shimano 5000 to 6000 size reels, and generally jig between 20 to 60m with jigs often from 30g to 60g. 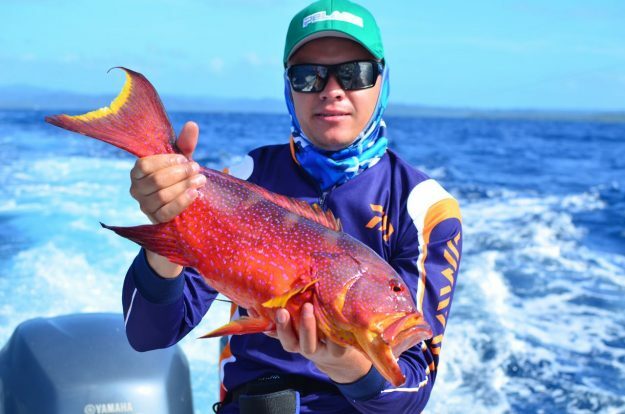 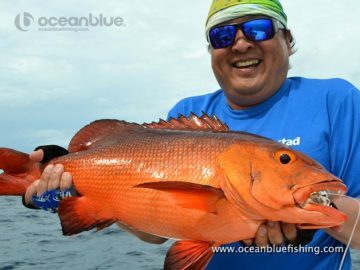 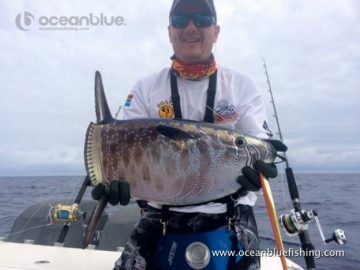 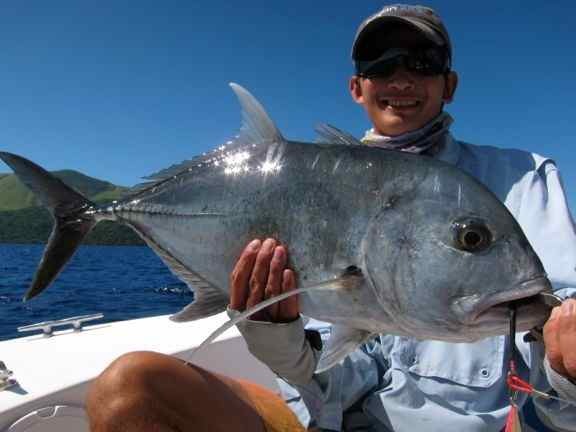 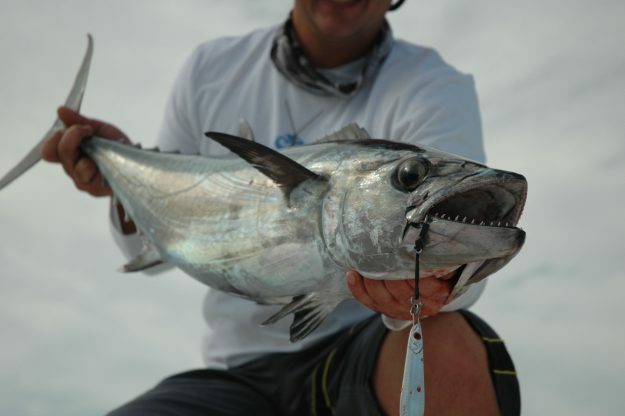 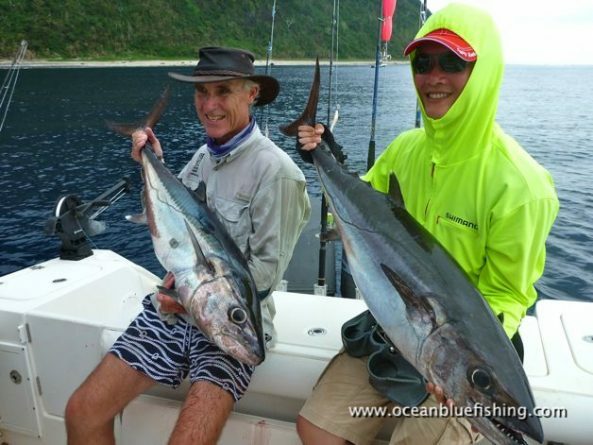 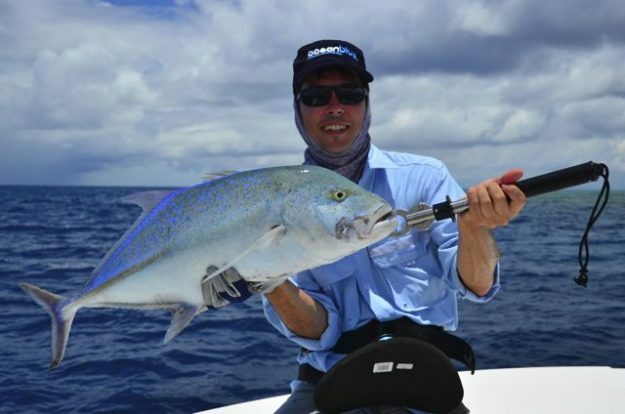 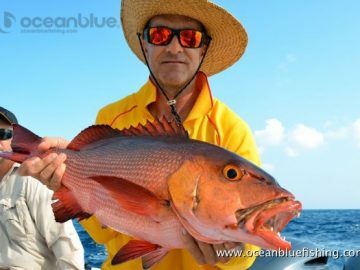 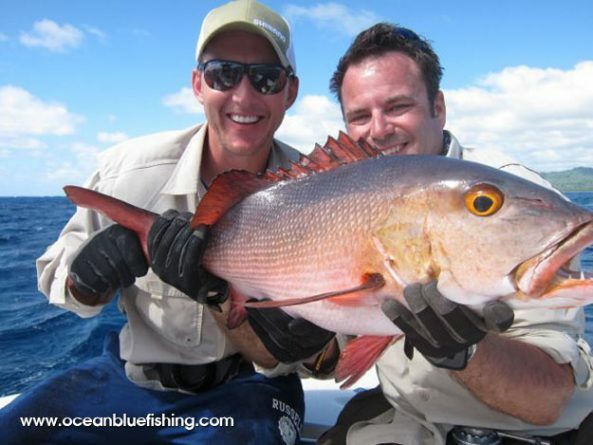 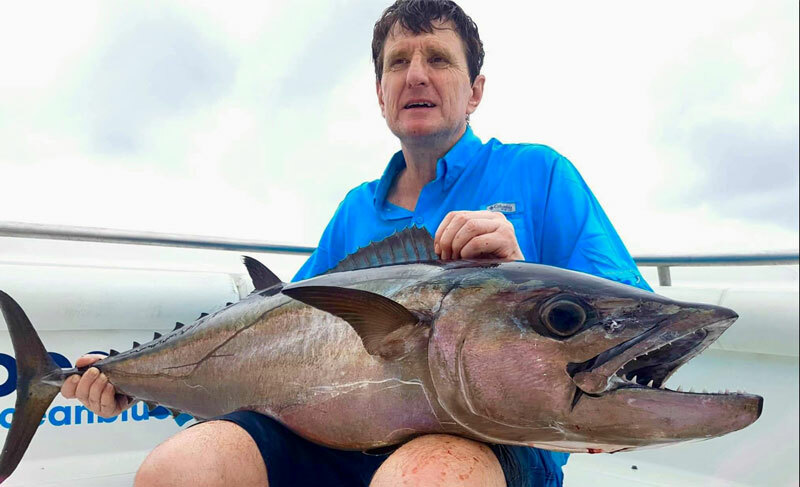 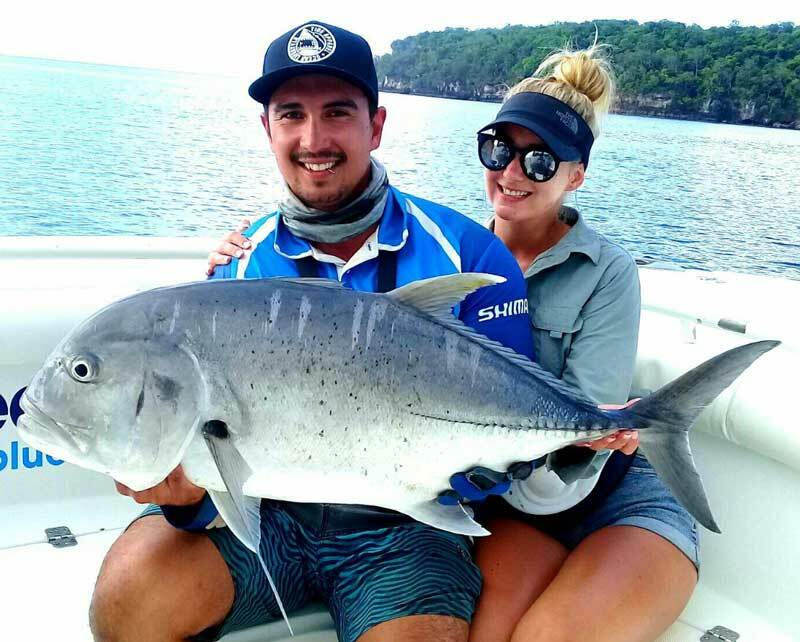 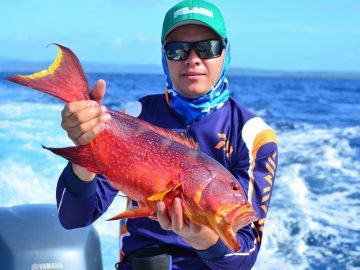 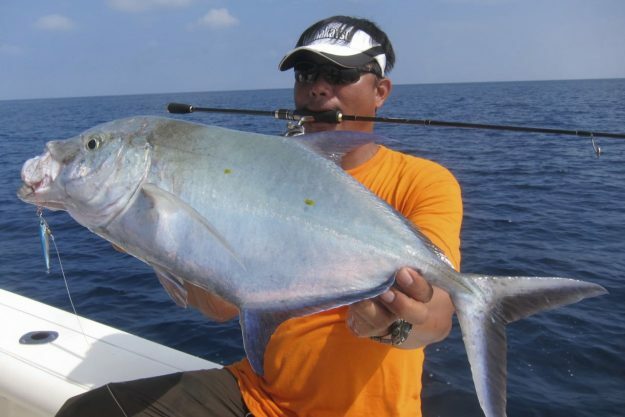 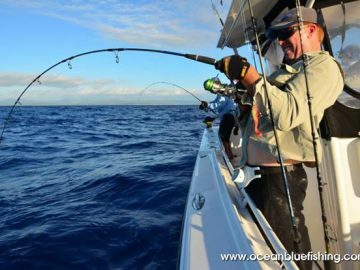 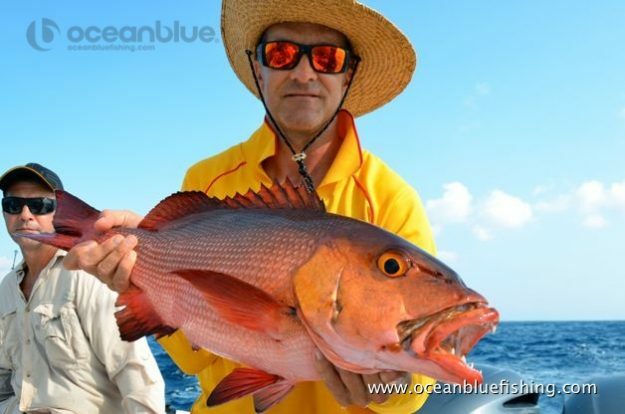 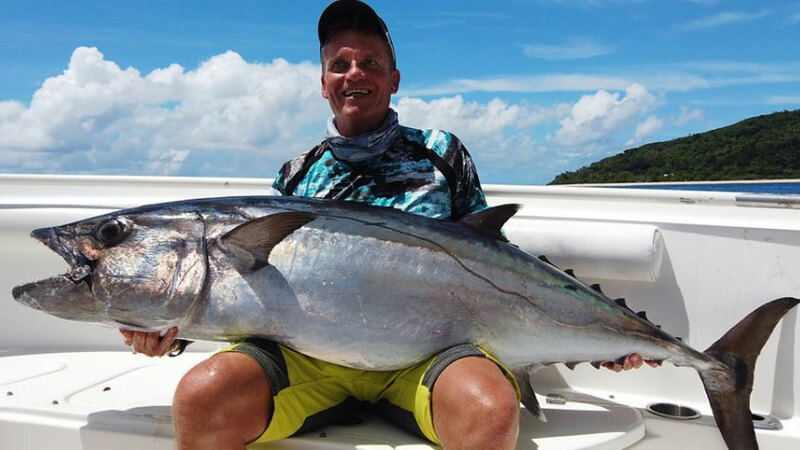 It is the perfect method to get a big variety of reefies with coral trout, bluefin trevally, scaly mackerel, longnose emperor, gold spot trevally, coronation trout and of course dogtooth tuna love small jigs worked fast. 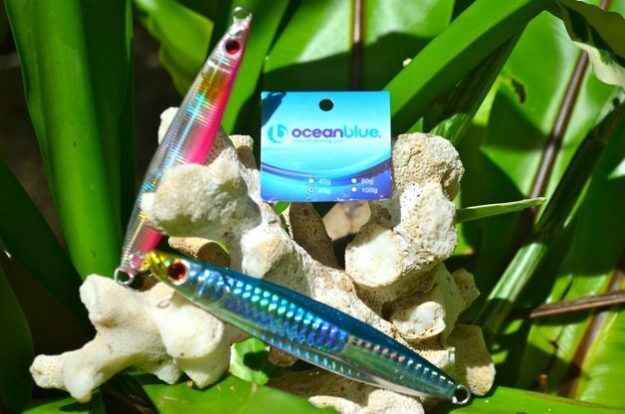 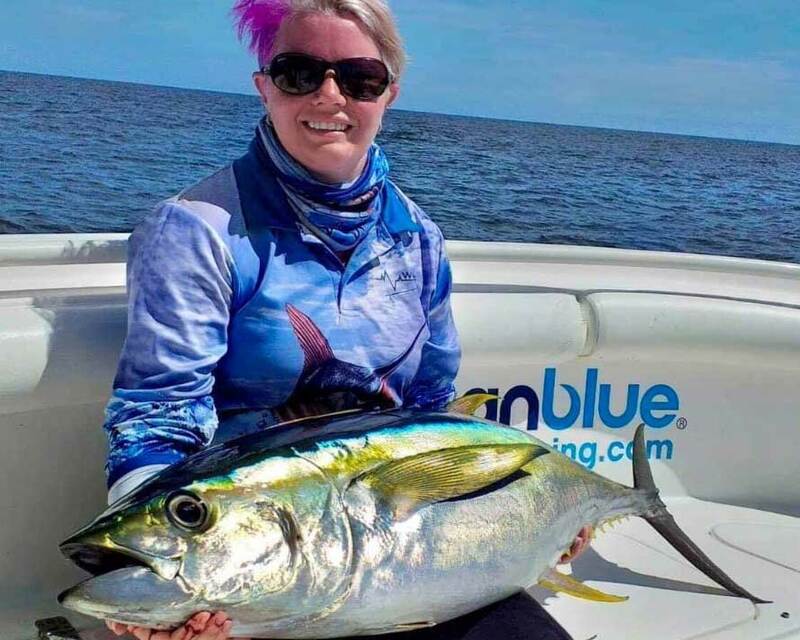 No need to stress about which gear to bring on your next fishing adventure with us, as Ocean Blue offers a wide range of tackle at Trees and Fishes including stickbaits, poppers, terminal tackle and micro and deepwater jigs, including Maria jigs. 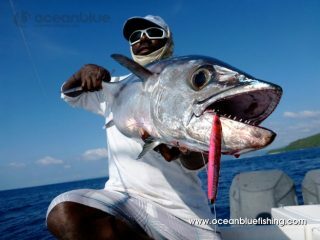 If not sure on what to bring feel free to email us directly.